Accenture Written Test Pattern for the year 2018 is very hard to understand for anyone has they have completely different pattern for On Campus and Off Campus Drives. Anyways, what we believe is that, this is the most detailed article on Accenture Aptitude Test Pattern 2018 and will clear all your doubts regarding the pattern. This year Accenture came to our college for recruitment drive. Our TPO (training and placement officer) provided us the registration link so that we can register ourselves and get our admit cards. Furthermore, he told all girls to lay great emphasis on this drive as Accenture hire more girls, and therefore, the chances of selection are higher among girls. The eligibility criteria for Accenture was 60% throughout the academic career and no current backlogs. So I immediately started preparing for the drive through previous Accenture interview question on PrepInsta. I practiced both solved and unsolved papers for the placement drive. There were two rounds in the interview, first, the MeritTrac aptitude test and second, the HR round. This paper had three sections: Verbal ability, LRDI and Attention to Detail. We had to clear each section individually to clear the cut-off. The Verbal section had passages, reading comprehensions, and sentence correction, and synonyms and antonyms questions. There were in-total 20 questions in this section. The LRDI section had 20 questions on coding-decoding, analytical reasoning, letter series, and seating arrangement. The time limit was 25 minutes. The Attention to Detail questions were slightly tricky. The questions were based on pattern matching. There were 15 questions in this section. PrepInsta was a great help in practising such type of questions. The results were uploaded on the college website. Fortunately, I cleared the paper and was selected for the HR Interview round. All the selected candidates were asked to report in the college auditorium sharp at 9:00 a.m. with the original and Xerox documents along. The interview began at 10:00 A.M. I was very nervous before the interview. As I entered the hall, the HR was seated there. He asked me for my resume, and started asking questions from it. What was your roll in it? What profile are you looking for in Accenture? The interview went for 15-20 minutes. It was great experience. The list of all the selected students was displayed on the college notice board. Luckily, I got selected. After a week I received a congratulations mail from Accenture, and was invited to join Accenture Bengaluru as Software Engineer Trainee. I applied for Accenture through eLitmus entrance exam. Accenture was my dream company, not just, because it is the best in the IT industry, but this company highly encourages women empowerment and equal pay to women employees. Accenture has strict 60% criteria. There should be no education gap than a year and there should be no current backlogs. My friend suggested me to apply for eLitmus test. 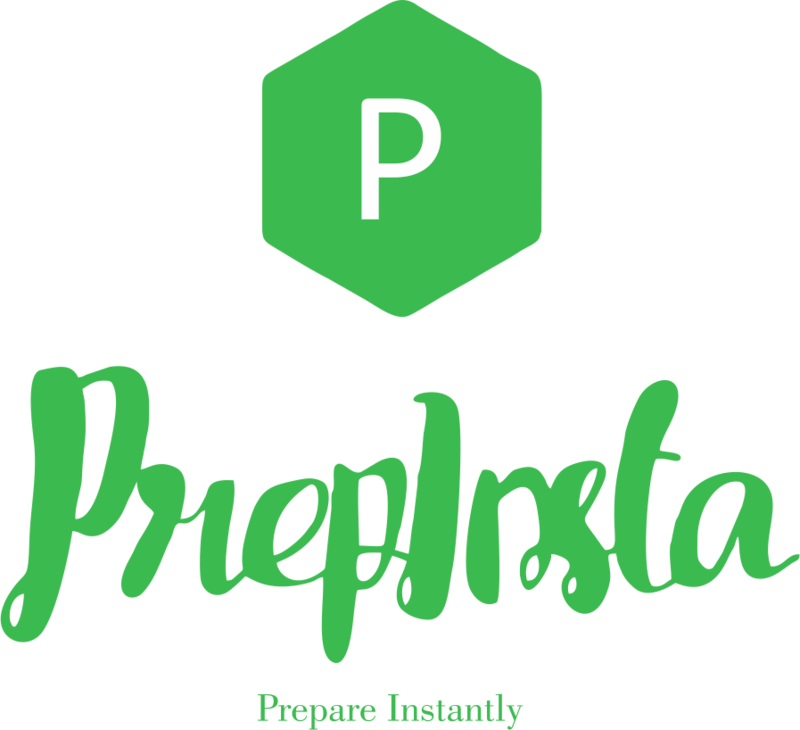 PrepInsta helped me for preparation of this paper especially with the crypto arithmetic questions. I applied for this paper online at eLitmus.com. After filling the form, I received my admit card on my registered email id. It was a paper and pen based test paper. My centre for the test was in Bangalore. 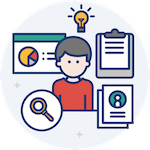 The elitmus Test was divided into three sections, Quantitative Analysis, Logical Reasoning and Data Interpretation and Verbal Ability. The test was of 120 minutes and every section had exactly 20 questions each. To clear this paper I had to score minimum 75 percentile in each section. In the Quantitative Analysis or The Aptitude section, most of the questions were related to speed time and distance. I had practiced many questions of this type on PrepInsta. The questions were very difficult and time consuming. In the Logical Reasoning and Data Interpretation section, all the questions were of medium-difficulty level except one, the crypto arithmetic question. In the Verbal Ability section, there were four Reading comprehension passages, para-jumbles, synonyms and antonyms questions. The result of the paper was declared after 14 days. I scored 78 percentile in Quants, 90.06 percentile in Logical Reasoning and 88.08 percentile in Verbal. On an average I was eligible to apply for major IT companies. I applied through the eLitmus site for Accenture. Original and photocopy of all the mark sheets from 10th. Tell me something, which is not present on this resume. If selected how you will be beneficial for our company? The interview went for about 15 minutes. I was asked to submit all the printouts of the documents with two passport size photos. He told me they would inform with a conformation mail regarding the result of the selection process. After a week, I received an auto-generated message from Accenture declaring I had been selected. Further details were sent to my mail id. The joining letter came after four months. I was selected as the Software engineer trainee at Accenture.